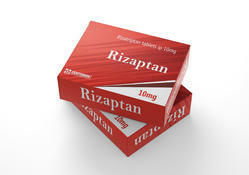 Offering you a complete choice of products which include rizatriptan tablets ip 10mg. Rizatriptan comes as a tablet and an orally disintegrating tablet to take by mouth. It is usually taken at the first sign of a migraine headache.